TABI LABO Co., Ltd. (Ikejiri, Tokyo; CEO: Shotaro Kushi) has produced the promotional video, “Premium Cabin of the Airbus A330,” leveraging its expertise in media. BRAND STUDIO is a full-service provider within the company that handles everything from the creative, to planning, production and distribution. With its unique understanding of user behavior, and interests especially for the Japanese market on the web, TABI LABO BRAND STUDIO was selected as a partner to showcase the premium cabin of Hawaiian Airlines’ Airbus A330. Filming was done on location at Oahu and Hawaii Island, and BRAND STUDIO not only handled the planning, but also casting, shooting, producing and distribution. To express the appeal of Hawaiian Airlines in a way that’s organic, TABI LABO BRAND STUDIO shot and produced the video with smartphones as the entry point, avoiding a hard-sell and instead aiming to provide value-added content that’s enjoyable for users. Optimized for a variety of mediums that include outdoor, in-cabin, and Instagram promotions, the videos are adapted to suit different formats (including 16:9, 4:5). Hawaiian Airlines’ premium cabin in the Airbus A330 is equipped with full-flat reclining seats. Even in economy class the seats are wide, and it offers more legroom for more customers with Extra Comfort seating. With an airy space and service that reflects the Aloha Spirit, the cabin provides a sense of being immersed in Hawaii, whether you’re still en route or departing. 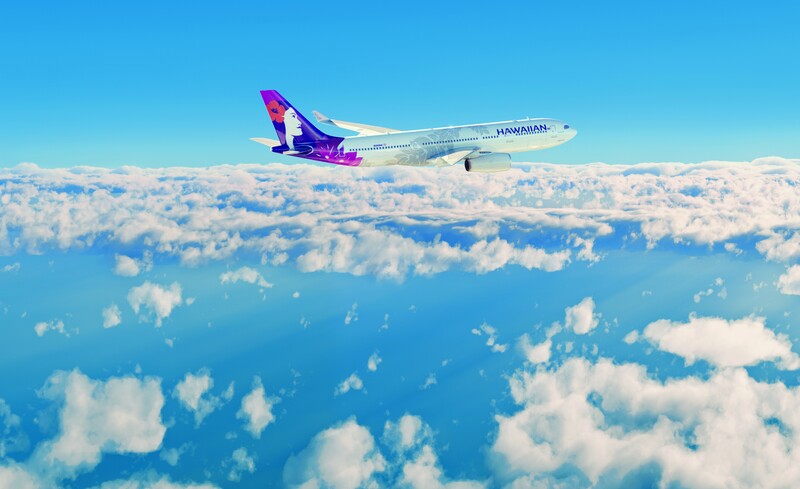 As of February 2, 2018, Hawaiian Airlines added a new Chitose-to-Honolulu connection in addition to the existing Haneda, Narita and Kansai connections, enabling more passengers to enjoy the full-flat seats on the Airbus A330-200. Now you can reserve premium cabins on the Airbus A330 from all outgoing flights departing Japan. As consumer touchpoints with smartphones increase, internet advertising has shifted not only in sales promotion, but also in branding that has traditionally centered around TV ads. TABI LABO BRAND STUDIO provides full-service solutions with premium content and experiences optimized for mobile, and has continued to grow through our ability to produce and contextualize on social media and generate buzz. By utilizing our know-how of media production, TABI LABO has provided solutions for marketing challenges for numerous companies, and has directly dealt with over 120 clients to date. With the vision of “molding the future of media and advertising in a world revolving around the rapidly growing smartphone market,” TABI LABO provides articles, video planning and production, media planning and distribution in a vertically integrated organization, with media operations at our core. We offer high-quality content and marketing solutions to deliver through the optimum channels.